Muskerry News | Congratulations Liah! 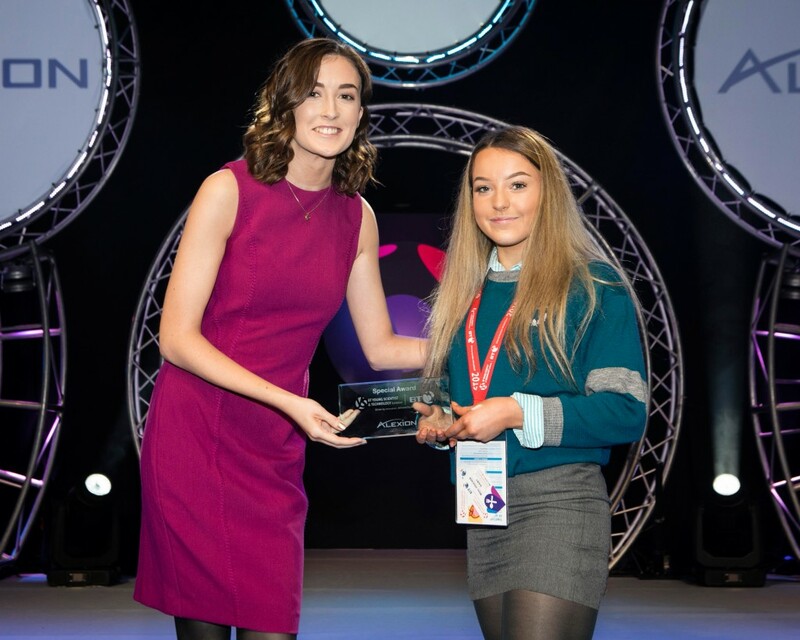 Lauren Coniskey presents the Alexion Award to Liah Cremin from Blarney who attends Colaiste Cholm for her project ‘Building a medical device using a piezoelectric polymer to monitor teeth grinding and clenching’ at the BT Young Scientist and Technology Exhibition Awards. Liah also received a Highly Commended Award.